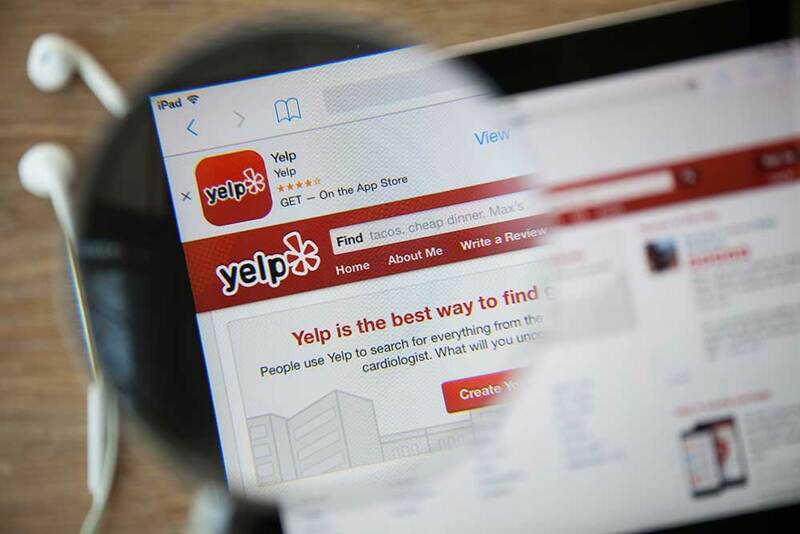 Most business owners have experienced the disgruntled customer gone rogue on Yelp. It can be an extremely frustrating experience. Sure, you can respond to the complaint, but the disgruntled customer can just respond to your response with more vitriol making the whole conversation feel trivial and pointless. Moreover, it can begin to feel like the ONLY customers that leave reviews for your business are the unrealistic, unsympathetic, unreasonable, and unhappy ones. The next thing you know, that small business that you’ve worked so hard to build, looks like an uncaring, untalented, or even unethical establishment – according to your online reviews, anyway. For many business owners, it can feel futile to try and do anything about it. So, they begin to ignore the online reviews, leaving their online reputation in the hands of others. If abandoning your business’s online reviews is an approach you are considering, don’t do it. The relief is temporary, but the reviews are forever. Your website is not a static brochure for your company, and your social media accounts are not one-way mirrors into what your company is doing. No matter how large or small your company, people somewhere are talking about it. Past customers are sharing their experiences, and potential consumers are comparing notes. They are posting on Facebook, tweeting about their experiences or concerns, and (just as importantly) leaving reviews on Yelp. Perhaps you think that because you don’t read reviews online, that your potential customers don’t either. Well, let’s dispel that idea. 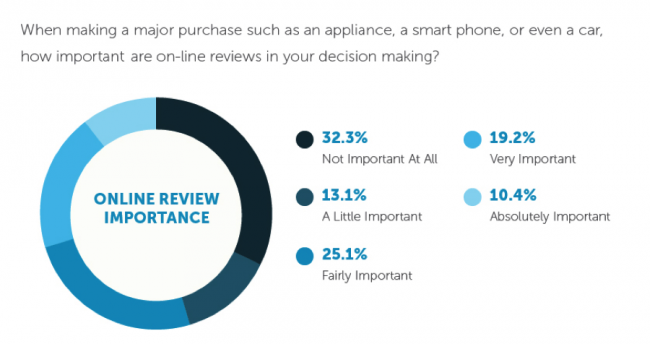 In 2014 a Google Survey found that online reviews influenced more than two-thirds of online purchase decisions. When you look at statistics like this, you can see why more and more companies are viewing their online reputation as a direct influence on their bottom line. “If you think you can skip this, or if you think you can make it without taking into account people’s voices, opinions and reviews, think again,” says Kissmetrics. “One of the most recent business commandments is ‘Be transparent.’ Opening up to criticism and feedback seems to be beneficial for companies that embrace this new communication mode with their audience.” Plus, reviews on places like Yelp count double because they show up in search engine results as well as the app itself. It’s important that, when it comes to social review sites, you put your personal feelings aside and make a deliberate effort to maintain a positive online reputation. After all, online reviews like the sort you see on Yelp, Google or Facebook, can have a real-world impact on your business. Reputation management is the art and science of controlling what someone sees when they search for your company online. You take steps to mitigate the effect of negative search results and boost the ranking of content that speaks to the image that you want people to see. It is also about creating systems that alert you to customer queries and negative reviews so that you can be proactive in your customer interactions. Reviews and Feedback Monitoring – You need a system for monitoring all the possible channels for feedback online. Additionally, you need a system in place for not only responding to negative reviews but encouraging positive reviews and ensuring that feedback gets from the internet to your business. Negative Alerts – When someone does post a negative review, and it will happen, being alerted to the review so that you can respond promptly can provide the opportunity to turn a negative experience into a positive customer service based experience. Sometimes it can even result in an updated review. Customer Service – Creating an avenue and a system for monitoring your online review and feedback channels is only valuable if you implement a system for effectively responding to that feedback, both bad and good. The modern climate demands not only that you seek to correct any situation, but also that you explain your company’s actions, answer questions as appropriate and take the sort of action that everyone can see. Many online reputation management services offer automation and intelligence to help you maximize the impact of positive experiences with your business and minimize the impact of negative experiences. Depending on the answer to this initial question, the customer is either funneled into a process for encouraging them to review your business online, or sent to customer service to better understand why they had a negative experience an attempt to create a new positive experience. It’s an elegant approach that not only serves to protect your online reputation but can improve the feedback loop between you and your customers. In other words, it’s good for both you and your customers. Who Is Reputation Management Right For? Can someone review your business online? Do you have customers whose feedback is important to you? Then reputation management in some form or another is right for you. A solid reputation management system needs to address the three areas we just discussed. In many cases, small to mid-sized businesses can implement structures for employees in customer service roles to accommodate this need. For many, however, their customer service roles are not capable of spending the additional time on to manage their online reputation successfully, and it can be a very time-consuming endeavor. If internal management is not an option, or not the right option, many turn to outsourced reputation management services that will help to eliminate time constraints by automating email communication with customers, monitoring online review sites, and alerting them to negative reviews. Such services can be very effective on their own, but see the highest return when paired with an integrated online and offline system for marketing and feedback. As with all things on the internet, not all services are created equal. Do your homework and discuss possible candidates with a digital marketing expert. Above all, just remember, don’t ignore Yelp just because it’s annoying.